Indiana University’s Creativity Labs, led by Dr. Kylie Peppler, joins Maker Ed’s Open Portfolio Project as an ongoing partner in research. The Creativity Labs unite educators, artists, designers, and learning theorists under the shared goal of researching and developing digital tools that support learners in making and designing. The Creativity Labs’ collaboration with Maker Ed on the Open Portfolio Project is complemented by a variety of other research initiatives into the value of e-textiles, media arts, and systems thinking. Leigh Abts joined the University of Maryland on 2007. While his home appointment is with the College of Education, he is also be an affiliate professor with the A. James Clark School of Engineering. Before joining the University of Maryland, Leigh held appointments as a Principal Research Scientist in computer science and in the advance technology laboratory at the School of Engineering at Johns Hopkins University. Leigh is leading efforts to develop a Pre-AP and an Advanced Placement (AP) program in engineering. 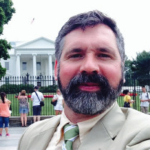 He is also working as principal investigator on several National Science Foundation (NSF) grants including projects related to Research Experiences for Teachers in Higher Education Laboratories and outreach to Native American, Urban and Blind students and teachers. Daragh Byrne is Intel Special Faculty for Physical Computing, Responsive Environments and Emerging Media within the IDeATe Network and at School of Architecture at Carnegie Mellon University. His research explores the design of experiential media system through process-oriented methods, supporting interdisciplinary collaboration and documenting learning-through-making. Current work includes the Higher Education Maker Alliance effort and the development of MakeSchool.org to catalog making in higher education. Christina Cantrill works at the National Writing Project and directs the NWP Digital Is project supporting educators exploring the intersections of digital literacy and connected learning. Christina’s writing project roots are based at PhilWP, the local writing project in Philadelphia, where she lives and works. Her experience with networked communities of practice like the writing project impact her interest in curriculum studies and theory. She has been a long-time volunteer and board member of the Spiral Q Puppet Theater, which in it’s joyous creativity and commitment to social justice, deeply informs all of Christina’s work. Barry Fishman is Arthur F. Thurnau Professor of Learning Technologies at the University of Michigan School of Information and School of Education. His research focuses on: video games as models for learning environments, teacher learning and the role of technology in supporting teacher learning, and the development of usable, scalable, and sustainable learning innovations through design-based implementation research (DBIR). He is the co-creator of GradeCraft, a game-inspired learning management system (gradecraft.com), serves as an Academic Innovation Fellow and is the Steward for Teaching and Learning on the Information Technology Council at the University of Michigan. He is a Fellow of the International Society for Design and Development in Education. Larry Gallagher is a former senior research social scientist at SRI International’s Center for Technology in Learning. His research focused on statistical and psychometric models that support educational evaluations. He investigated methods for incorporating free-choice and self-paced learning into evaluation models, recognizing that student achievement is not only an outcome, but also a driver of subsequent learning activities. As an amateur woodworker and musician, he also has a strong interest in informal learning environments and their role in shaping student interests and dispositions. Shelley Goldman is an educational anthropologist studying learning in and out of school. Goldman’s work focuses on creating opportunities for rich STEM learning, and for understanding how design thinking and technologies can create access to, and transform, learning. Current work includes bringing broadening participation in STEM via design thinking. A professor at the Stanford Graduate School of Education and by Courtesy, Mechanical Engineering-Design Track, Goldman is on the faculty of the Learning, Design & Technology master’s program and the Learning Sciences & Technology Design doctoral program. Vera Michalchik is the Senior Associate Director for Learning Sciences at Technology at Stanford University’s Center for Teaching and Learning, and the Director of Evaluation and Research, Office of Vice Provost for Teaching and Learning. Formerly at SRI’s Center for Technology in Learning, Vera conducted multi-method studies of new educational programs in the United States and abroad, focusing on the social and cultural aspects of learning. Trained in educational psychology and anthropology, for 20 years she has been researching the relationships and differences between learning in and out of school, with an emphasis on social interactions and material experiences that support everyday learning in community, peer-based, and family settings. Chris Peterson is an Assistant Director at MIT Admissions, where he oversees the recruitment and evaluation of the world’s top academic and technical talent, including the MIT Maker Portfolio. He also is a Lecturer in the Comparative Media Studies program at MIT, where he teaches courses on the cultural histories of technical systems. Jessica Ross is a senior practitioner specialist working on the Agency by Design research project, a project investigating the promises, practices, and pedagogies of maker-centered learning. Jessica was a founding team member of the Global Learning Charter Public School, where she taught grade 5-8 humanities for ten years. She is still involved with the school as a member of the Board of Trustees. In her classroom practice, Jessica incorporated several Project Zero frameworks including Teaching for Understanding, Visible and Artful Thinking. She worked with Shari Tishman and Patricia Palmer to create an Artful Thinking classroom practice. Working with teachers, schools, and districts since 2006, Jessica has facilitated professional learning opportunities, both internationally and throughout the U.S., sharing Project Zero frameworks in addition to interdisciplinary-focused content courses in the Humanities. She is currently an Education Coordinator of the Project Zero Classroom Institute and a teaching fellow at the Harvard Graduate School of Education. Jay Melican is Intel’s Maker Czar. He currently serves in the company’s New Technology Group, directing sales, marketing, and market sensing research for Intel’s maker and innovator platforms. In addition, he coordinates Intel’s outreach to the maker community, STE(A)M education programs aimed at making technologies accessible to creatively inclined learners, and partnerships with friends of Intel who push the creative potential of the company’s electronics development and prototyping platforms. 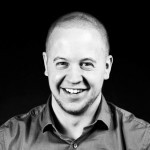 Jay has over 23 years of industry experience – ten of which have been with Intel – in user research, creative management, strategy & business development, product management & promotions. In his previous professional lives, he has worked as design ethnographer in Intel’s Digital Home Group, at Microsoft as user researcher, and – at a variety of other technology companies – as usability analyst, interaction designer, and product strategy consultant. 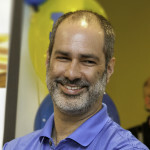 Since 2011, Jay has driven Intel’s initiatives to engage with the maker community – particularly through the company’s sponsorship of, and participation in, Maker Faires around the world – and to deliver products and services that lower the barriers to entry for learners seeking to design, build, and program interactive systems. Jay has lectured on the adjunct faculty at Illinois Institute of Technology (IIT) and at the Interaction Design Institute in Ivrea, Italy (where Arduino was born). He served as a founding member and Vice Chairman of the Board of Directors of the Institute of Play – the non-profit organization behind the Quest schools. He holds a BA from Brown University, an MFA from Rhode Island School of Design, and a PhD in design from IIT. He lives in wine country outside Portland, Oregon, where he drinks wine and tries his best to convince his bees to make honey for him.